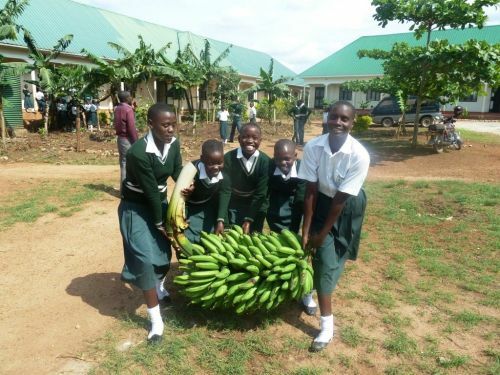 In September 2014, several Ugandan organizations came together to form the Schools and Colleges Permaculture Program (SCOPE) Uganda. In doing so, they aimed to create a ‘common space’ that encouraged information sharing and collaboration between like-minded organisations. It was hoped that Permaculture’s principles could be taught nationwide, better preparing Ugandans for the challenges presented by climate change. In a nation where 70% of the population is under 25 and nearly 50% is under 14, it was clear that schools had to be the entry point into communities. Now a network of 23 organizations, SCOPE Uganda works with schools to ensure youth gain the practical skills education needed to foster ecological, climate-smart and sustainable landscapes. Integrated land use design and Permaculture education is used to create food forests on previously barren school compounds. By targeting rural areas (as opposed to urban areas), its work directly supports areas that feel the burden of food insecurity more. SCOPE Uganda has so far worked with 3766 youth and 159 teachers to create, maintain and monitor eleven Food Forests in seven different districts.